Nothing But Creative: Hear It Everywhere, today. 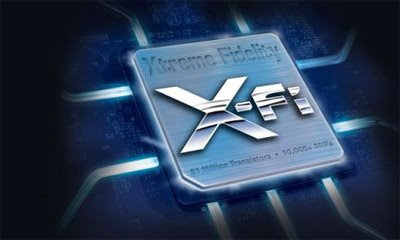 Today is 17 September, a day Creative promises to take the Xtreme Fidelity standard a step further with wireless freedom. 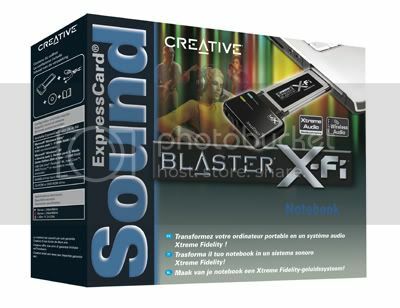 Introducing the Sound Blaster X-Fi Sound Card. 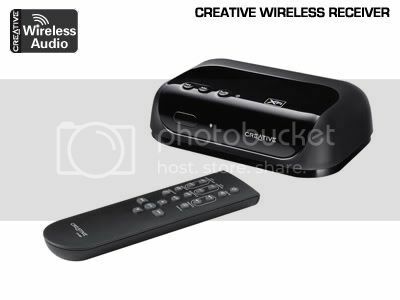 Not only does it makes your music sound way better with Creative Xtreme Fidelity sound technology, it also feature a wireless function which allows you to stream your music to any part of the house with the help of a wireless receiever. 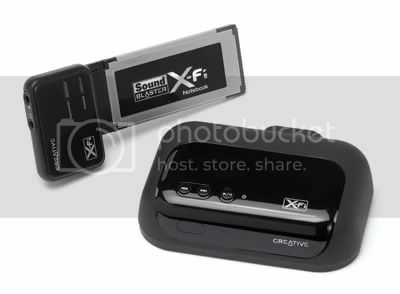 The X-Fi Notebook Sound Card will retail for $89.99 in the US or $79.99 Euros or £59.99 end of September. In Singapore, the Card is sold together with the Creative Wireless Receiver for SGD$269 from October onwards. It is a ExpressCard slot, PC-only device. It features Creative's Xtreme Fidelity technology, CMSS-3D and EAX Advanced HD for realistic music and gaming experience. Some of you must be disappointed that it wasn't a new player that Creative was hinting at. Was the X-Fi Notebook Sound Card worthy of a teaser press event? We don't think so. But it certainly made many Creative fans excited about today. 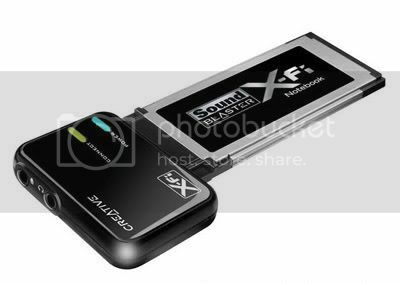 The X-Fi Notebook Sound Card isn't a very bad product, I do think it's pretty cool and awesome look. Afterall, the percentage of notebook users have been increasing rapidly and Creative is right in catering to this growing group of consumers. However, I'm not sure how many of us would spend that kind of money to purchase both the sound card and receiver. Tell us how you feel about it in the comments section! Creative just ruined my whole day lol ;) What happened to the old creative, the creative that made products like the zvm! Not really, given the fact that their flagship product Zen X-fi was released so recently, I knew it wouldn't be another player... Yet. Nonetheless, I'm expecting stuff like Nano plus X-fi and Zen: Vision X-fi coming up. By implementing the X-fi tech to all their players. 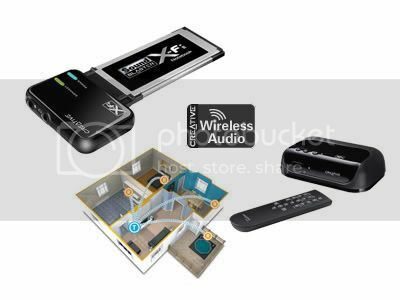 The wireless X-fi looks good, but I think its kind of a overkill with the wireless receiver. Who would really need that? Its not a cheap toy anyway. But really, what's bothering me is this. Creative is really catching up fast. And its a little scary to buy their product these days. For the USB series, we have the 'Play!'. Than a month later, we have the 'Go! ', which is clearly better than the 'Play!'. We than compare the Audigy notebook which was release way long back. While the X-fi Xtremeaudio notebook came out quite long after the first, it only took a few months for this new toy to roll out. Which makes me think... Will my Zen X-fi(After reading reviews everywhere including this and testing it myself at Marina Sq), which I'm going to purchase this coming week be obsolete the next month? anyway back to topic.It is either Creative hires all the dumb people or that it is collapsing soon.I admit there are huge and tons of people owning a laptop but how much % of the pple will purchase this product?Come on with the onboard sound card now existing in the desktop market,what makes them think people will purchase such an external soundcard?And it is true that their so call X-fi technology doesn't work on every piece of music.Sometimes for a tech company to succeed they must harness the power of the internet,see what does people fancies and try to come out with a better product.It just seems so that Creative is just churning out products just for the sake of it. I think Creative really needs to start listening to its customers and give them what they want. What's the point of coming out with something that nobody will buy. I rather they flood the market with various different ZEN than crap products like this. I love Creative and I do not want to see it fold. Focus on PMP, focus on speakers. This product is promising in the sense they have submitted patents (or awarded) on wireless x-fi and they have a few products around this area including Zen X-fi. It's a new era in X-fi development. Kingone, you should get one and do a thorough review. I think it looks good. You can use your laptop (huge capacity) to stream high quality music wirelessly. There's a likelihood OEM manufacturers will bundle it as an option to new laptops in future.